If you are looking for a Blue Cross eye doctor near Livonia Michigan then you have come to the right place. Dr. Blaize is a Blue Cross eye doctor, accepting Blue Cross Blue Shield vision insurance as well as many other vision insurances and vision plans. Do you live near Farmington Hills, Livonia, Plymouth, Redford, or Northville? Call 248.482.2020 and schedule your eye exam with Livonia’s #1 Blue Cross eye doctor today! 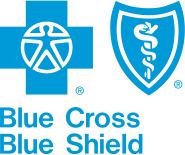 Remember, your Blue Cross Blue Shield medical insurance may have a Blue Cross Vision Plan or in other cases you may actually have Aetna, Davis, Medicare, VSP, Eyemed, United Healthcare, or another vision insurance. Call Dr. Blaize, our very own Blue Cross eye doctor today for more information! to schedule appointments for you and your family. 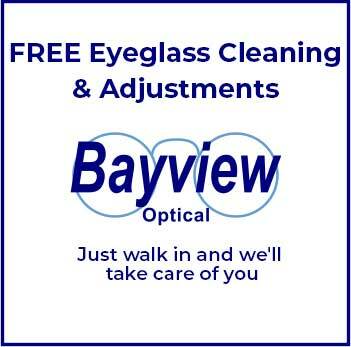 Bayview is a great place to get your eyes checked with personal, friendly service. I love how fun the staff is and the quality product is awesome! They helped me pick out frames that suit the shape of my face. Love my new frames and lenses are awesome! I have been going to Dr. Blaze for years now and I have always had a great experience. Dr. Blaze and the staff are always very friendly and willing to help in any way possible. It is a very comfortable setting and the vision after is always better. I would recommend Bayview Optical to anyone with corrective lens needs! I have been going to Bayview Optical for a few years now. I can't say a bad thing about them. They have always made sure my glasses/contacts are perfect. When I did have an issue with my progressive lenses I talked to them and they got it corrected quickly. Here they know who you are and treat you as part of a family. You will never be a number and will get the best service possible. I've been coming to Bayview for many years and have always had great experiences! Dr. Blaize has been very helpful in finding the right prescription for me and trialing different lenses until finding one that works great. He also has wonderful help up front, Laurie has been extremely helpful in picking out glasses that look good. The customer service at Bayview is always excellent. The staff is super helpful and willing to go the extra mile to make sure your needs are met. Laurie went out of her way to make sure my lenses looked great, and that they didn't make my eyes look buggy. Very Happy! My experience at Bayview Optical has always been great. Dr. Blaize is very knowledgeable, and has a very patient staff. Everyone is very helpful and ready to make you satisfied with your experience. They have very stylish frame choices, with a generous selection. I have absolutely no complaints. My whole family is treated by Dr. Baize and his staff and we couldn't be happier! I was referred to Bayview by a gal at ANOTHER Optician's office. She knew I would find the frames I was searching for there. I met with Lori, Michelle, Kelly, and Dr. Blaize and was very impressed. All of them were/are very personable and professional. I was able to locate my "special" frame, and get all of my questions answered. There were/are no insurance issues and I always feel well-cared for, with undivided attention. I highly recommend Bayview Optical!!! We love this office. The staff is friendly and very responsive. Appointments are easy to get and the doctor very kind and most importantly....knowledgeable. Eye glass selection is comprehensive and the turn around for my child's new glasses has been timely. We highly recommend Bayview Optical. I started going to Bayview Optical last year and wish I had started sooner! All the workers are so professional and knowledgeable of their profession.They are SO helpful and make you feel very welcome in their store. They have a great selection of glasses and make sure you feel you are 100% satisfied before leaving. I would recommend this optometrist to anyone and already have! I've been coming to Bayview Optical for about ten years. Everyone there is always so welcoming and professional. I couldn't imagine a better experience and selection for my glasses and contacts needs. I have been coming here for about 4 years. The staff is great and friendly. Dr. Blaize has always been very nice and professional. The. selection of glasses is a decent size with a lot of quality frames. There Saturday hours are a huge help as I work longer hours through the week. I first came to Bayview Optical in 2010 after experiencing a disastrous experience with another office when I tried to get contacts. As a new contact wearer, the other office didn't teach me to put the contacts in nor fit me properly. Bayview fitted me with the perfect contact prescription and I could see better than with my glasses. Not only that, Laurie was such a big help, teaching me how to put them in and take care of them. Even though I no longer wear contacts, I've remained with Bayview because the service is great, the staff is friendly, and I'm always satisfied with the choices Laurie has helped me make when getting new glasses. Can't recommend Bayview highly enough! Great service and beautiful eyeglasses! I have been coming to Bayview Optical for my eye exams and glasses for five years. Five Stars! From my initial call to Bayview Optical all the way through to completion of my eye exam and order, I was treated with such respect and kindness. In the past I have shopped eyeglasses at the large retail chain stores because I thought I was getting a better deal - NOT TRUE, Bayview was on point with pricing and selection. I will go back again for sure! Excellent customer service and quality care. The only facility I have been to that takes so much time to help me select the best pair of frames for me. Lori also sat and helped me feel confident with contacts, which is something I have always had trouble with. Highly recommend. My wife and I went in for our eye exam there and it is a quiet and quaint place. The eye exam was is typical as you would find in many other places, but the customer service is top notch. We browsed Costco’s selection of frames but they were not as nice as Bayview’s. Bayview has a friendly staff. Dr. Blaize is laid back and very kind. The staff does not pressure you into buying anything. My wife got a pair of glasses and they bothered her. We went in every week for 3 weeks and they made sure that everything was OK. We eventually ended up going with a different frame and they were very helpful in the process and helped us out. I would highly recommend this place. It is the type of place I would take my own mother to. © 2018 Bayview Optical, Inc.
Bayview Optical is an optometric practice located in Livonia Michigan and serves Wayne County, Livingston County and Oakland Counties. Our optometrist, optician, VSP eye doctor, EyeMed eye doctor, Optometrist that takes Medicare, Davis eye doctor, eye doctor that takes Aetna vision insurance, United Healthcare Insurance eye doctor, and Blue Cross eye doctor see patients from Livonia, Farmington, Optical Farmington Hills, Farmington Tourist Attractions, Redford, Northville, Plymouth, Southfield, Novi, and Wixom. Our optometrist, optician, and eye doctor provide comprehensive eye examinations, eyewear, contact lens fittings and services, assessment and/or treatment of glaucoma, cataracts, macular degeneration, eye injuries, infections, allergies, pink eye and diabetic eye disease. Bayview Optical is the premier provider of designer glasses, no-glare lenses, transition lenses, progressive lenses, disposable contact lenses, and toric contact lenses for astigmatism. Bayview Optical is a preferred retailer of Acuvue contact lenses.